What Wouldn't Jesus Do? 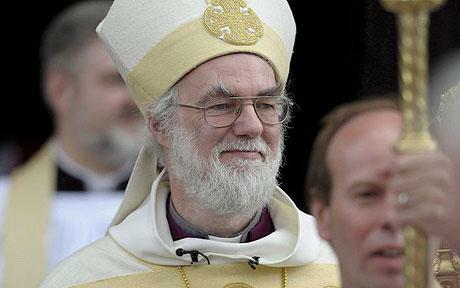 "Demonize Gays"
It turns out the Archbishop of Canterbury is an actual position held by Rowan Williams, and is not in fact, simply a character in Robin Hood movies and whatnot. We kid. Are you happy to see a high-ranking Christian official call out anti-gay rhetoric and bias?